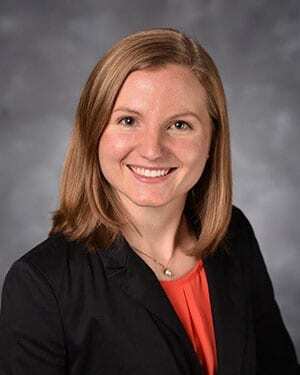 Dr. Erin Riley graduated with honors from Central Michigan University where she received her Bachelor of Science degree. She obtained her Doctor of Dental Surgery degree from the University of Detroit Mercy. Her post-graduate residency at the University of Colorado earned her a Certificate in Orthodontics and Master of Science degree. She has diligently worked toward her goal of joining her father’s practice throughout her education and is excited to be back in her hometown as an orthodontist. Only those who graduate from dental school and have completed the required additional two to three years of specialized education beyond dental school to learn the biomechanics of aligning and straightening teeth, may call themselves an “orthodontist”. The additional education, training and clinical experience is necessary to diagnose and treat your orthodontic needs. By participating in continuing education courses year-round, Dr. Riley is able to stay current with the latest technology and orthodontic advancements. Our patients deserve the best, and continuing education allows us to provide them with more options and better results. Dr. Riley and her husband Matt, reside in her hometown of Mt. Pleasant with their son, Kagen. They enjoy spending time with family, church activities, hiking, baking, trying out new recipes and music. She is dedicated to providing the best orthodontic care in the Central Michigan area for many years to come.